We've got Spirit Wear, how bout you? The spirit committee is proud to partner with Friday Threads, a locally owned and operated merchant, who rewards our program based on online orders. 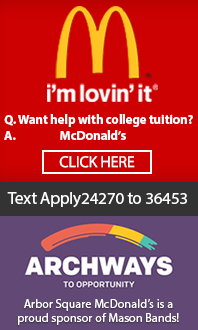 We shop / they donate. New items are added throughout the season, so be sure to check the site on a regular basis. The customized apparel makes ideal gifts for marching band families. Have an item you'd like to see in the spirit wear store? 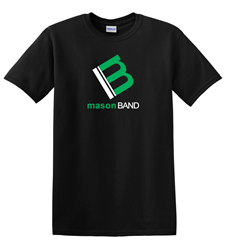 Please contact the spirit committee at spirit@masonbandboosters.com We are always looking for new ideas on what parents (and students) are interested in purchasing!